Some of the most important technical advances of the 20th century were enabled by decades of fundamental scientific exploration, whose initial purpose was simply to extend human understanding. When Einstein discovered relativity, he had no idea that one day it would be an important part of modern navigation systems. Such is the story of quantum science. We have come a long way since the earliest days of quantum information theory, when IBM Fellow Charlie Bennett and the other quantum information science pioneers created the foundations that have given rise to a thriving scientific community. Today, this same community has made enough progress that the earliest real systems, which are able to implement theoretical predictions, are being built before our eyes. IBM 50Q System: An IBM cryostat wired for a 50 qubit system. The rate of progress has been remarkable. 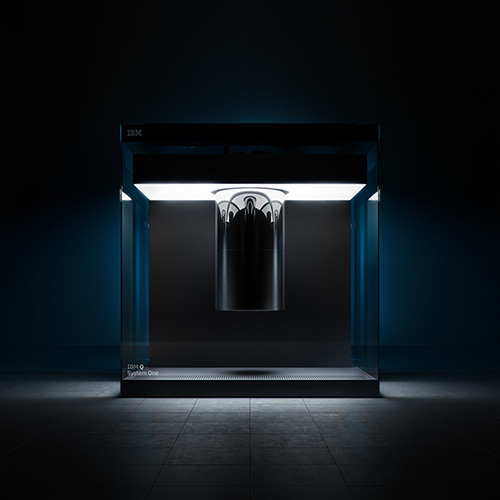 Only a year and a half ago, we put the IBM Q experience prototype 5-qubit machine in the cloud, and made it available for the world to use, explore, and learn from. A year later, we added a second device with 16 qubits. Today, more than 60,000 users from more than 1,500 universities, 300 high schools, and 300 private institutions have registered for accounts on the IBM Q experience, and collectively run 1.7 million experiments. The members of the research community have also published more than 35 research papers using our platform as a testbed for ideas. This is only the beginning. and a prototype with 50 qubits, which will be the basis of future IBM Q systems. 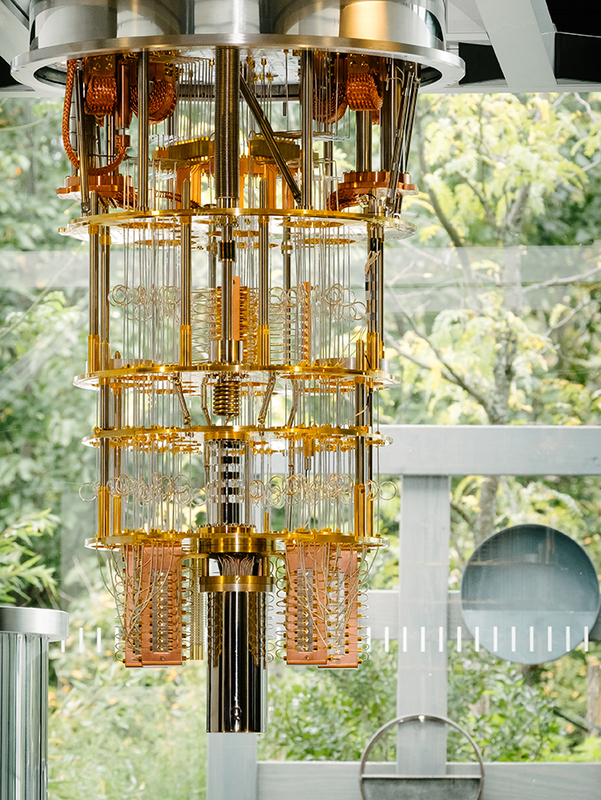 Our 20-qubit machine has double the coherence time, at an average of 90 µs, compared to previous generations of quantum processors with an average of 50 µs. It is also designed to scale; the 50-qubit prototype has similar performance. Our goal with both the IBM Q experience, and our commercial program is to collaborate with our extended community of partners to accelerate the path to demonstrating a quantum advantage for solving real problems that matter. I continue to be amazed and inspired by the ecosystem we have built over the last year and a half, and I believe there is much more we will do through the development of QISKit, the quantum information software development kit. It is a key resource for our community to make the most of our systems. 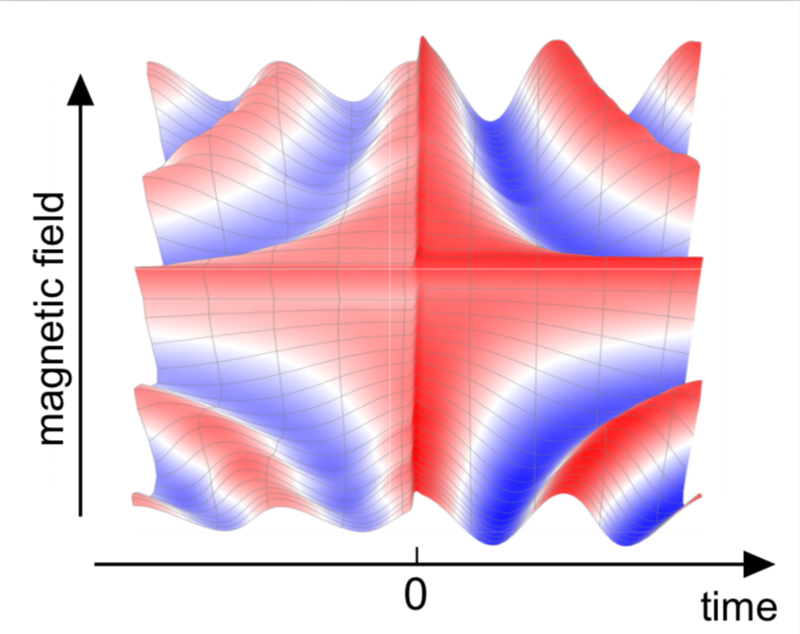 It includes python-based tools for creating, manipulating, visualizing and studying quantum states, tools for characterizing qubits, scripts for batching jobs, as well as a compiler to map the desired experiment onto real hardware, and so much more. As this toolkit improves, both through our own contributions, and those of the open-source community, our rate of scientific and technical progress as a community will grow alongside it. IBM 20 & 50 Qubit Arrays, Figure 1. Left) Schematic of 20 qubit system, and Middle) 50 qubit system illustrating qubit interconnectivity. This complex interconnect fabric permits maximum flexibility for IBM Q systems. The 50 qubit is the natural extension of the 20 qubit architecture. Right) Photograph of the quantum processor package for the first IBM Q systems. The processor features improvements in superconducting qubit design, connectivity and packaging. While it is still early, we look forward to fulfilling the true potential of quantum computing. The last year has fueled our optimism that quantum computing will open up new doors in the fields of chemistry, optimization, and machine learning in the coming years. We should savor this period in the history of quantum information technology, in which we are truly in the process of rebooting computing. Editor’s note: Dario Gil presented The Future of Computing: AI and Quantum at the IEEE Rebooting Computing Industry Summit on the Future of Computing. Watch the replay of his talk, below.